At 9:06 p.m. Sunday night, men’s basketball associate head coach Stan Johnson typed 10 words from his iPhone. 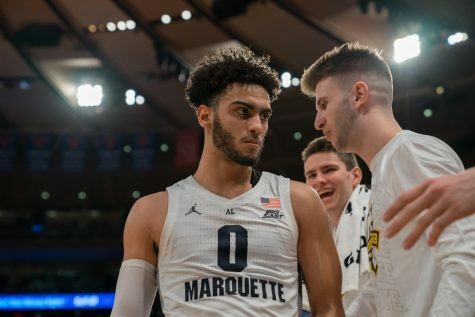 While Johnson cannot elaborate on his excitement per NCAA rules, the cause: Marquette had just landed its second transfer in a 72-hour period. Former Utah State standout Koby McEwen announced his decision to transfer to Marquette Sunday night, just over 48 hours after former Fordham guard Joseph Chartouny committed Friday evening. 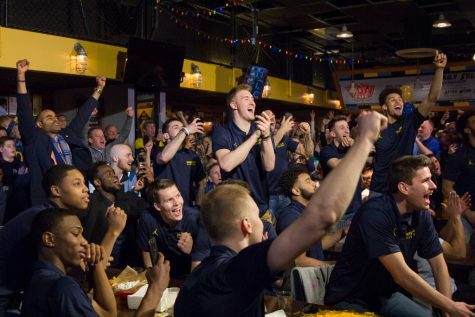 In one weekend, Marquette went from having two pure guards on its roster to four. 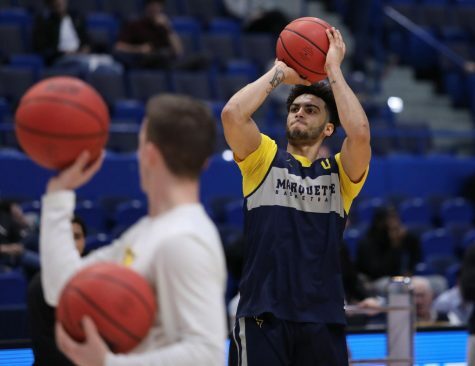 Chartouny is a graduate transfer and is eligible to play immediately. 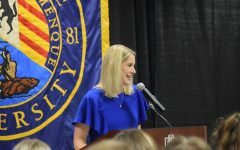 McEwen will sit out next season before playing in 2019-‘20 and 2020-‘21. 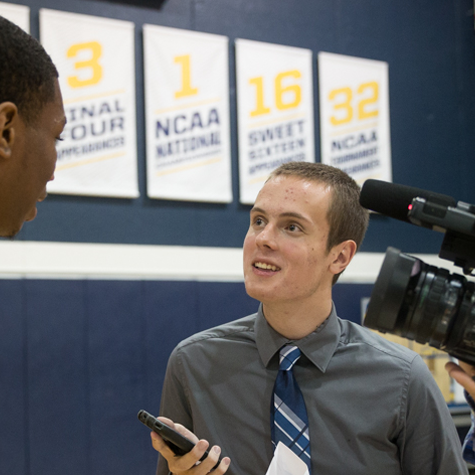 The “sit one, play two” situation is comparable to graduating senior guard Andrew Rowsey and junior forward Ed Morrow. 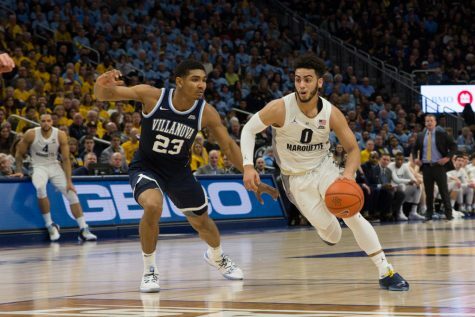 Chartouny is a true pass-first point guard that can lead last season’s 12th-most efficient offense in the country and third-most efficient offense in the BIG EAST. Chartouny has finished in the top 100 for assist rate in all three seasons at Fordham. 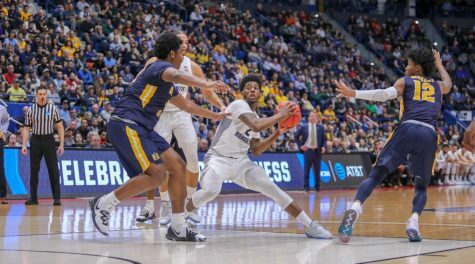 That includes a 36.2 percent assist rate in his freshman year, meaning that he assisted over a third of all the field goals Fordham made with him on the floor. 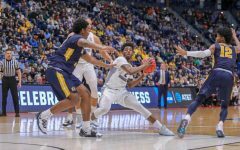 Chartouny’s 28.9 percent assist rate this past season would have been the second-best mark in the BIG EAST behind St. John’s guard Shamorie Ponds. 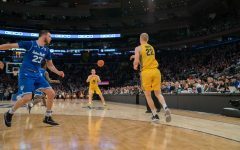 “He provides experience, he provides a defensive mentality and he’s a good all-around basketball player and we feel great about that,” Wojo said. 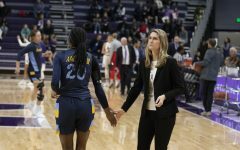 Only one Marquette player has finished a season with a 30-plus percent assist rate in the Wojo era: point guard Traci Carter, who transferred to LaSalle during his sophomore season. Passing isn’t the only area in which Chartouny is one of the best in the country. He also recorded a steal on 5.6 percent of possessions, the second-highest mark in college basketball. 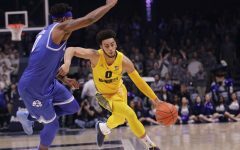 Marquette will have to wait a little bit longer to take advantage of McEwen’s defense and intangibles, but they are expected to complement rising junior Markus Howard’s scoring prowess. McEwen is also one of the best rebounding guards in the country. 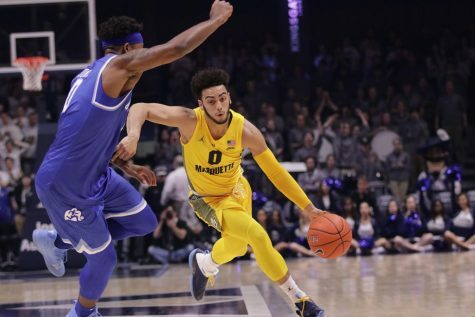 He grabbed 18.5 percent of possible defensive rebounds, a higher mark than anybody on Marquette’s 2017-‘18 roster with enough minutes to qualify. No Golden Eagles player has grabbed defensive rebounds at a rate of 16 percent or above for back-to-back seasons since Jae Crowder. 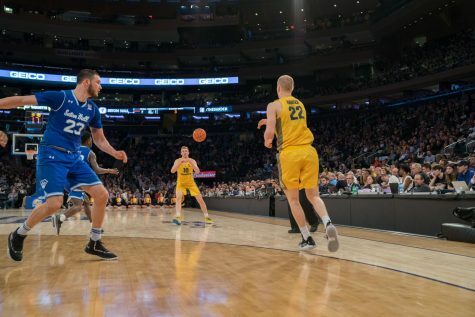 “(McEwen)’s got really good size and can play multiple positions on the perimeter and can do a lot of different things on the basketball court. 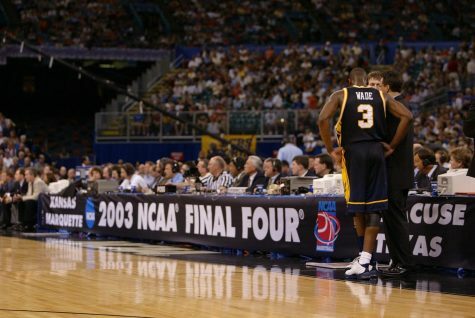 I think his best basketball is ahead of him,” Wojo said. 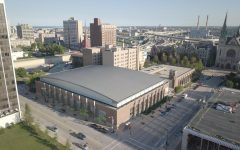 This puts Marquette in an unusual position. 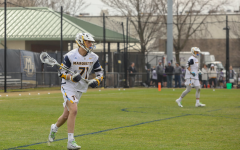 Barring any additional departures, Marquette will have a full roster for the 2018-‘19 season. 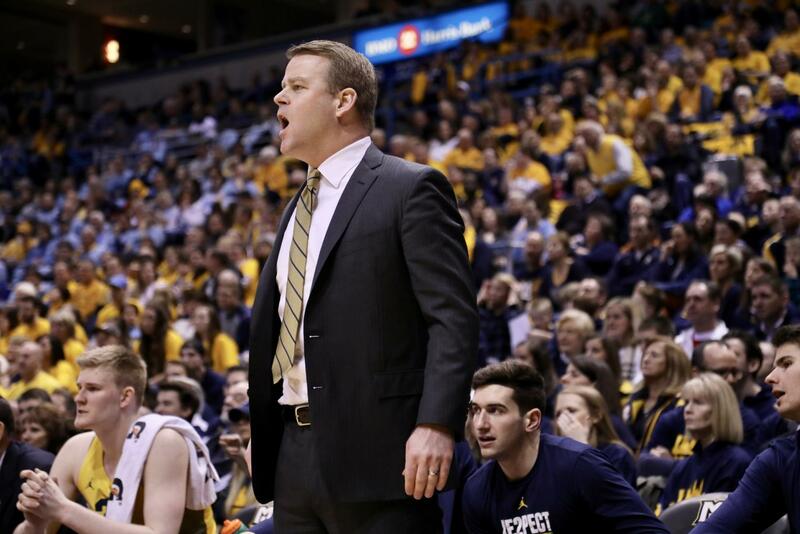 Head coach Steve Wojciechowski has never had all 13 scholarships used entering a season in his four seasons. This also lessens the pressure on the recruiting trail. 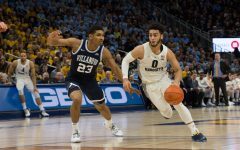 While Chartouny will graduate after next season, McEwen’s two remaining years of eligibility means that the first 2019 commit won’t necessarily have to be a guard. Some of the guards Marquette has especially targeted for 2019 include DJ Carton, Mario McKinney and Josh Green. Carton and Green are both ranked in the top 50 in recruiting website 247Sports’ projections. Marquette is projected to have four guards, two wings and four big men on scholarship for the 2019-‘20 season with three scholarships still open. 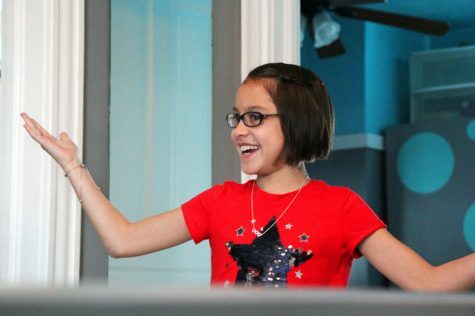 Brendan Ploen contributed to this report. 13 scholarships not 12 is a full allotment and MU is indeed full. 12 eligible guys and McEwen redshirting. I think we only have two schollies available for ‘19-20. The may be forgetting Brendan Bailey. How about we recruit REBOUNDING for a change?